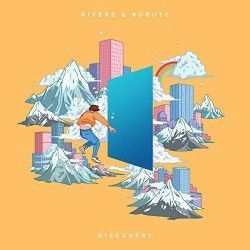 After a big build-up, Rivers & Robots' album Discovery is out NOW, featuring the three popular singles released over the summer – Dreams, Satisfy, and the title track Discovery. The band already had a huge following, but this album looks set to win them lots of new support as they've taken things to the next level. The band has produced a collection of tracks which build on their solid foundation of previous work with their distinctively strong lyrical content and stylised combination of sounds, but with more of an edge. The new material went down really well on the festival circuit, showing off the band's creativity, musicianship and ability to capture and express themes which resonate with audiences. They launched the album with a listening party, going live on their YouTube channel to stream the album two days ahead of its release date and talk through the stories behind the songs. Manchester based Rivers and Robots are a little bit different from other worship bands that you might come across. The band made up of Jonathan Ogden, Dan Stirling and Caleb Choo have their own sound, you can try and make comparisons but ultimately you will fall short of really describing them. While the worship music world gets into it's stride with bombastic tunes, or stirring and building anthems, Rivers and Robots are doing something more laid back. Edging through acoustic folk, with a bit of ambient and electronica combined to bring something that is quite unique. These are songs that are made for personal worship and as such there is time spent in the music setting the atmosphere, often worship songs can have just a couple of bars and be straight into the main lyric. Here, from the very beginning, the music is a key element and in fact it's over 40 seconds before we have any vocal introduced on "Dreams". The song itself is a straight up worship song about how God is better than we could ever imagine. Having set the tone for the greatness of God, "Call Your Name" expands on the desire to know God, to be with Him and the change that knowing God makes. "Author / Perfector" rounds out the opening trio and discusses the transformation God performs in us turning brokenness to beauty and the worship that we want to give in response to who He is. The writing in these songs uses many Biblical phrases and common worship terminology, but it sounds fresh and different, almost like hearing these things for the first time because of the way that it is paired with the music and the light touch on the vocals. It is "Burn For You" where this album begins to reach it's stride. With this gentle vocal and piano track using limited percussion to add emphasis this song about the passion for God really starts to open up the worshippers heart. This song is about being ready for Christ's return, being awake and watchful in the waiting borrowing the imagery from Jesus' parables. This track also features guest vocals from David Brymer. In an antithesis to Mick Jagger's sentiments the track "Satisfy" is telling the Lord how knowing Him brings peace and satisfaction in every area of life. 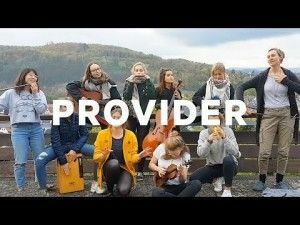 "Provider" continues some of this thought talking about the faithfulness of God to fulfil His promises and that we can trust Him completely and follow Him. It is very easy to listen to some of these tracks and not actually acknowledge how good the vocal performance is on this album. "Overflow" in particular really benefits from a great vocal blend, not everyone can sing in such a tuneful and easy manner which sits above the soundscape. I hate the term easy-listening but really this album is just that because these vocal are so non-pressured or forced that you do feel immediately relaxed to let them minister to you. Lucy Grimble brings her vocals to "Brighter Than The Sun" which talks about the way that God loves us better than any other could and how we long for and search for that love. 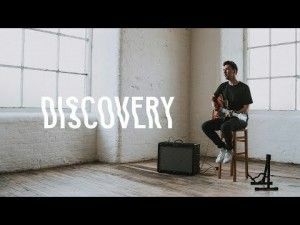 The title track, "Discovery" is about understanding more of God, trying to get our heads around the way that God is the limitless, coming to the understanding that we were made to know God. "My Refuge" echoes many of the Psalms which talk about God being our rock in the times of trouble, that we can trust in His security. "Know You More" is more of the discovery of who God is, picking up the idea that we were made to know God that was introduced earlier. This leads into worship as we discover and know God better. The very last track "Forevermore" takes us from Creation to the Cross to the completion of the work as Christ sits on the right hand of the Father, with the lingering thought of heavenly worship. This is a powerful image that is left with us in this song as the album finishes with a couple of minutes of pure and beautiful instrumental before plunging under the water and resurfacing before the end of the track. It's an interesting end to the album but one that you won't forget in a hurry. It's truly hard to convey in words exactly how this album works, but it really does! It is very chilled out in the way that it is presented, nothing feels hurried or rushed, each track takes as long as it takes. There are moments of pure worship of God for who He is, times of understanding and comprehension and then passionate surrender into His will knowing that it is the best for us. The music is engaging and the words, whilst often familiar, weave into the whole of this album wonderfully, this is an incredibly refreshing release, especially if you have the opportunity to sit and focus on it. Of course not many of us have the luxury of being able to do that, our music is often background or part of the fabric of our day, but I think if you can take the time to listen to a track of this song during your day with no distractions you will find this a refreshing experience in itself. Rivers and Robots have put together an encouraging and uplifting worship album that is one that I will go back to for personal refreshing many, many times.